Mt Cook is the one of the place the visit glacier in New Zealand. The park is popular for tramping, skiing, hunting and mountaineering. Here is a stunning spectacular. Mt Cook is about 40km from the ocean, so there are storms and cloudy days in the area always. There is only half and hours distance from Lake Tekapo. The park covers a little over 700 km². 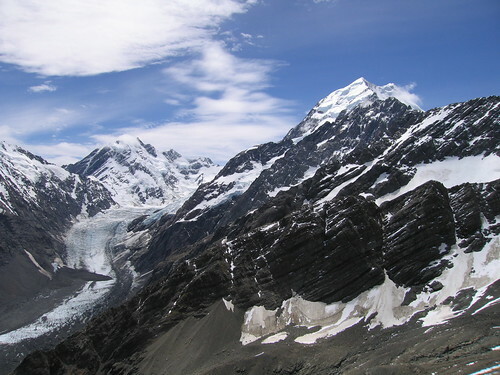 Glaciers cover 40% of the park area, notably the Tasman Glacier on the slopes of Aoraki/Mt Cook. There are some good hiking trails in Mt Cook, you may join tour for that. Did you see the iceberg before?? I have ever seen the small ice cube when I drink ice water, but not iceberg. Iceberg is very huge ice cube, you can not image how big is it if you never see this before. 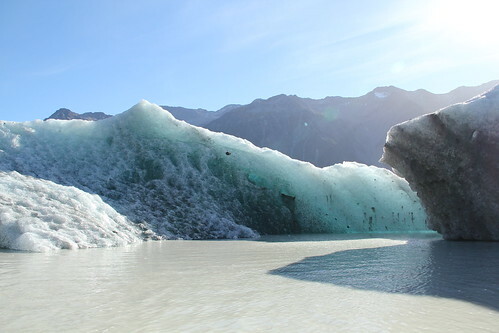 Is million tons of iceberg in Mt Cook. However, some of the iceberg is covered by the black soil which will cause it a ugly looks, while some is clean with a clear ice. You can join a tour there. This is a really fun activity, because when you are out in the boats they take you so close to the ice burgs floating around in the lake. The glacier, of course, is amazing and photographs very well too. The tour guide is informative and friendly, and will stop many times for photo shooting. The trips is taking about 2 1/2 hours. Cost about NZ$140 for adult, NZ$70 for child, minimum age is 4. The trip will start with a 15 minutes bus ride to the destination, then needs about 20 minutes walk to get the boat. The boat will bring you to close up the iceberg and you are able to touch it. For the review from Tripadvisor, 15 out of 19 voted this place is Excellent, 3 voted Very Good, 1 for Average. As the landscaping hare is stunning, attracted thousands of part time and professional climber come here for climbing. For more information, you may visit here http://www.mtcooknz.com. For Mountain Climbing, you need to extremely fit and experienced in snowing condition and travel. The walks and hiking will give you a amazing experience as the stunning scenery is remarkable in your life, you will not be forget what you have experienced here. Is definitely unforgettable. One of the most popular trail is Ball Pass Crossing which needs about 2-3 days route. For Tramping Tracks, this is easier than Mountain Climbing, overall, there are 2 Tracks, Sealy Tarns Track and Ball Shelter Hut Route, takes about 3-4 hours and 7-8 hours to complete respectively. 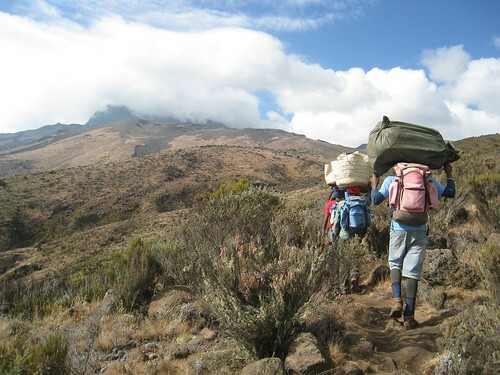 For Walking Tracks, this is easier than mountain climbing and you will enjoy the whole trip with the stunning landscape. There are 3 Walks and with different length of time to complete. Governors Bush Walk for 1hour, Bowen Bush Walk for 10 minutes and Glencoe Walk for 30 minutes. Visit here for more information. Actually, except of the above trails, there are few more tracks in Mt Cooks. All depend on your fitness, every tracks has different view of points, choose the one you are able to complete. For myself, the maximum I can do is the day tour, maximum 8 hours, impossible to do the Ball Pass Crossing. If you have change, of course, do for the Ball Pass Crossing, this will experience the special scenery in Mt Cook. If you are not enough fitness, try a least the shorter one, do not say no before you try as you will regret after this. New Zealand is one of the heaven of skiing, a lot of visitors like part-time and professional skiers will come here for experiencing the different type of skiing environment here. Normally, the visitors will not do this if you don't have the experience, the "standard" Tasman glacier skiing package includes the 2 longest ski runs in the Southern Hemisphere - from 8 to 10 km long. 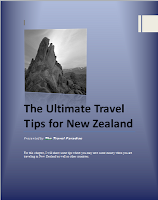 The price is very expensive, the cheapest package is about NZ$850 per person. I have no experience too, so you may visit the webpage here for more information if you would like to play this activity. Amazing blog I like it !! Thanks James! Come n visit here always! i am thinking overnight here (mt cook) or not? What kind of planning you want to do (activity) at Mt Cook?